Our Killeen emergency room (ER) is now open. 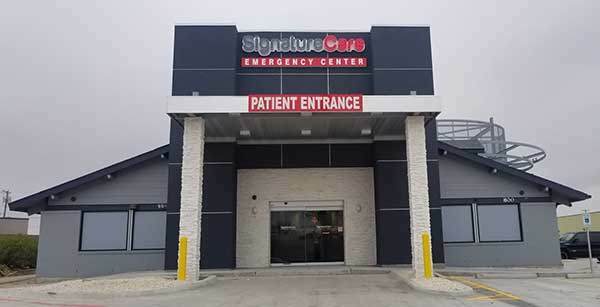 The new Killeen ER serves residents of Killeen, Harker Heights, Copperas Cove, Belton Cove, Gatesville, Sun City, Fort Hood, Temple, Hewitt, Woodway, Taylor, Cedar Park, Robinson, Waco, Lampasas, and other communities around the 76541 zip code. Our ultra-modern 24-hour ER is staffed by board-certified physicians and licensed nurses who are trained to handle medical emergencies for children (pediatrics) and adults including injuries, abdominal pain, broken bones, burns, seizures, pneumonia, infections, and more. Our Killeen emergency room is fully equipped with top-notch medical equipment, including a full lab and X-ray, ultrasound and multi-slice CT scan machines. As always, the wait time at our emergency center is 10 minutes or less, allowing you to see a doctor quickly. Why Choose Our 24-Hour Killeen Emergency Room? Please apply for available emergency room careers and our managers will contact you as soon as possible.